Does it matter what I wear? Can I bring the children? What should I say to the family of the deceased? When should I visit? J. 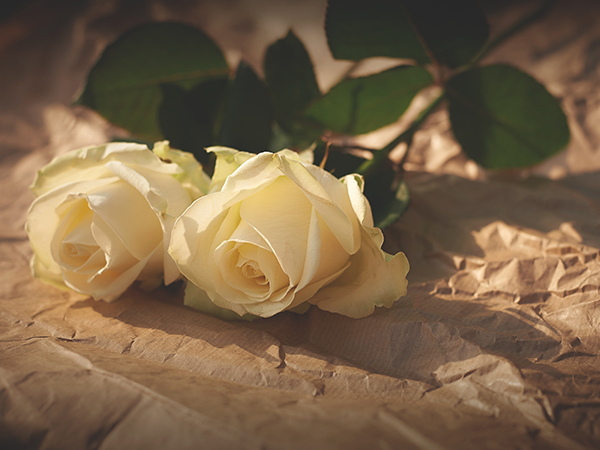 Levy & Termini Funeral Home offers guidance on the proper etiquette of visitations and funerals, so you'll feel more comfortable and prepared for attending services. What is expected at a visitation at the funeral home? When you arrive, go to the family, and express your sympathy with an embrace or by offering your hands. Don't feel as though you must avoid talking about the person who has died. Talking can help the grieving process begin. If you were an acquaintance of the deceased but not well-known to the family, immediately introduce yourself. Do not feel uncomfortable if you or the family member becomes emotional or begins to cry. Allowing the family to grieve is a natural healing process. However, if you find yourself becoming extremely upset, it would be kinder to excuse yourself so as not to increase the strain on the family. Viewing the deceased is not mandatory. However, if offered by the family, it is customary to show your respects by viewing the deceased, and, if you desire, spending a few moments in silent prayer. Always sign your name in the register book. If you were a business associate of the deceased, it is appropriate to note your company affiliation if the family may not otherwise know you. Your simple presence will mean a lot to the family. You do not need to stay for the entire visitation, but try not to leave during any prayers that might be offered. What should I expect at a funeral service? Funeral services differ depending upon the religious and personal beliefs of the family. Funeral services can be held at a church, temple, funeral home, or even the residence. Whether the service is held at the funeral home or at church, enter quietly and be seated. The first few rows are usually reserved for family members, however, people should sit close behind them to give comfort and support. The ceremony is usually conducted by a member of the clergy, but others may offer thoughts, anecdotes or eulogies. At the conclusion of the service, you will want to leave promptly, and wait in your car if you plan to follow the procession to the cemetery. Remember to turn your headlights on so you can be identified as being a part of the procession. Also remember to turn your headlights off once you arrive at the cemetery. Are there other ways to express my sympathy? E-mail. E-mail is appropriate from those who are not intimate with the family such as a business associate or a former neighbor. The family will appreciate your message of concern. Food for the family. The most welcome gift at this time is food. Also, there may be several visitors in the house who need to be fed. During the days immediately following the death, substantial dishes that require little preparation other than reheating are appropriate. Mass Cards. If the deceased was Catholic, some people will send a mass card instead or in addition to flowers. Catholics and non- Catholics may arrange for a mass to be said for the deceased. It is also appropriate to arrange a mass on the anniversary of the death. Memorial Gifts. A memorial gift is always appropriate, especially when the family has requested such a gift in lieu of flowers. Usually the family will designate a specific organization or charity. Remember to provide the family's name and address to the charity so they can send proper notification. It is acceptable to mention your gift in a sympathy note without mentioning the amount of the gift. Phone Calls. If you live out-of-town you should telephone as soon as possible to offer your sympathy. Keep the call brief, since others will probably be trying to call as well. Sympathy Card. A sympathy card mailed to the family is a way to let them know you are thinking about them. If you are unsure of the address mail it to us at J. Levy & Termini Funeral Home, 2128 Broadway, Galveston, Texas 77550, and we will forward it to the deceased's family. After the Service. Many times families will need assistance after things begin to "settle down." Acts of kindness such as mowing the grass, purchasing groceries, changing the oil in the car, baby sitting the children, providing a meal, providing transportation, etc. Avoid telling the family, "call me if you need anything." Most often grieving survivors do not have the energy to call and ask for help. Immediately upon learning of a death, it is certainly appropriate for family and close friends to go to the home of the bereaved to offer sympathy and support. This can be a very overwhelming time for a family. Offering to assist with child care, food preparation, receiving visitors, or service preparations can provide immense comfort during this difficult process. Most friends and acquaintances visit the family during planned visitations and services to offer condolences. If the family asks that donations should be made in lieu of flowers, you should honor that request.